People tell me I look like a doll in this picture. I must have been about four years old, sitting in my adoptive parents’ home, trying to be the good child that they wanted me to be, but never doing quite well enough to earn their approval. They didn’t hesitate to tell me how much I had cost them, so certainly they deserved something for their efforts? If I was four, then this photo must have been taken in 1973. Meanwhile, in South Korea, my real father had been looking for me for three years, ever since he discovered that I was gone from the children’s home where he had placed me temporarily. Going from orphanage to orphanage, he followed dead trails and searched up one dead end after another. In another year he would himself be dead, and he’d never discover what had really happened to me, or where I had gone. I had no idea who he was, or that I was wanted somewhere else. We never saw each other again. It was around this time that I first began to notice that I looked different from all the other children. Those around me mostly had blond hair and blue eyes. I was the only one who looked like me. So I asked my adoptive mother about it. But I kept looking at my own face in the mirror, at the differences that were clearly there, even though she said they were not, and I asked myself what was wrong with me. One of the things with being adopted is that you can never be sure whether the information you have about yourself and your natural family is correct, inaccurate or even true. You also never know if errors are made intentionally, tailored specifically to make you more “adoptable”, or just due to laziness or sloppiness on part of those managing the information, or whether there simply wasn’t any accurate and correct information available to begin with. Occasionally you come across something new. It could be trivial, or it could be ground-breaking in that it explains major aspects of your life. In the last six months I’ve come across two bits of information, one somewhat trivial, and the other of the more ground-breaking kind. Both the posts mentioned below have been changed to reflect the updates. A while ago, about a year after I wrote “In Memory of Appa”, my sister wrote to tell me that my father died in July of 1974, not 1976 as I had previously thought. While this isn’t a detail that changes much in my life today, it still matters that I know, and that I know that I know, and for that little peace of mind I am grateful. My sister also wrote me to discuss my birth date. We established long ago that the birth date as stated in my passport and all other official papers is not correct. She pointed out that birth dates were often recorded according to the Chinese lunar calendar, not the Western one. Yet when translating dates from Chinese to Western, such as in the case of adoption, it was and probably still is the sloppy common habit to keep the month and day numbers, and just add the Western year, rather than going through the complicated work of calculating it properly. For example, someone born on the seventeenth day of the third month during the Western year 1968 would simply get their birth date translated to March 17, 1968, when in fact the proper birth date would translate to April 14, 1968. My sister was not only concerned with the date, rather she was firmly certain that the year was wrong as well. I had been born in the spring … but a year later! Since the Chinese calendar follows the moon, the months and day numbers move quite some distance from year to year, as seen from a Western calendar perspective. In the example above, it’s a matter of about a month’s difference. But if that person had been born on the seventeenth day of the third month a year later, instead of March 17, 1968 or April 14, 1968, their birth date would be May 3, 1969. Why someone would change my birth date by a whole year is unclear. It might be a simple matter of misreading sloppy handwriting in the original documents, or it could be something else. The consequences, however, are more serious. When I was adopted, I was said to be two years old. I was small and allegedly underdeveloped, the explanation for which was that I suffered from malnutrition. But when I look at my passport photo now, I see a barely one year old baby girl. I was thought to be a year behind in every aspect of my development, it was even suggested that I was “retarded”, but in truth I was really simply a year younger than everybody thought. I even lost my baby teeth at the same time as children believed to be a year younger than I was. I had learning problems in school, but I was really struggling to learn stuff meant for kids a year older than I was. A whole host of issues that I went through as a child now makes perfect sense: You can’t expect a one-year-old to match the development of a two-year-old, and you can’t demand that a six-year-old matches the learning abilities of a seven-year-old. And if a child is already a year behind in school, without being offered help, she most likely won’t be able to catch up, resulting in poor grades, endless frustration, and a shattered self esteem. I didn’t get help, I wasn’t able to catch up, and that has followed me to this day. Yes, the possibilities are many, but this girl lacks the energy to do anything. Inside my heart I know I have used all of my strength on just staying alive through the years. I got scarred for life when I was a little girl. I have done all that I can possibly do, to help myself, to understand why my adoptive parents behaved the way they did. I have spoken to friends and also my old elementary school teacher about my parents and what happened during my childhood. I have written down bits of my life, both here in my blog, and on paper. I’ve fought to see therapists and am still fighting to get the right kind of help. But that which I need isn’t available in this country. There simply hasn’t been any focus on the issues surrounding adoption, and the problems that many adoptees come to face as they grow up. I hope now that I can get help abroad some day. In this “great place” which I never asked to be brought to, I am an outsider. Both here and in my country of birth I’m considered to be at the bottom rung of the social ladder. In Korea I’m looked down on it’s because I am adopted. In Norway it’s because the issues I struggle with have kept me from getting a proper education and a sufficiently high-income job. I have played my life the best that I could with the cards that I was dealt. Now I see how unfair life is. I’ve struggled all of my life to live and be the way I thought the world wanted me to be, and it was never good enough. I had to take care of myself since I was a very little girl, because my adoptive parents certainly wouldn’t. Every day was a living hell, all year around. I was either neglected, or faced frequent beatings or scolding whenever they were disappointed in me or thought I might have done something wrong, which was most of the time. All this abuse did something to me that has stayed with me to my adult age. I remember the quarrels, the yelling and the beating, being called ugly names, and the cold, hard looks from their eyes. Always hearing how much of a burden I was to them. It makes me sick just to think about it, and it hurts like hell. I was only a substitute, something they wanted to complete their façade: A little baby girl, which they thought was what they needed to get over their child that died shortly after it was born. Later, when I was a teenager, I remember my adoptive father’s sleazy looks at me, and all those remarks that a father should never utter to his daughter. I remember how I never had proper warm clothes, and walked to school freezing in winter, how dirty and old my clothes were, and that they were often much too small for me. And I knew too well what would happen if I didn’t. Beaten with hands or a belt, or a slap on my cheek. And then I had to endure all the names for each stroke. “Ugly girl!”, “Bad girl!”, “Imbecile!”, “Idiot!”, “Whore!”, “Loser!”, “Damn black sheep!”, “Why don’t you ever learn?”, “Retard!”, “You are such a burden to us, you cost us a damn fortune, and you still do, and this is how you thank us?”. I guess in their hearts it must have been very tempting to beat the hell out of me. Why didn’t they just end my life? I could never become what they wanted: Their happy, successful daughter, one that would worship them, and be forever grateful. What can possibly make up for all the times I had to run and hide, frightened out of my wits and with my heart trying to pound its way out of my chest? What do you think could ease away the memories of an abusive childhood? I still dream about my adoptive father touching me, in ways a father never should. I’ve had my share of life, and I’ll never be able to forget it. I was taught that I was useless and hopeless, and every time I try to get up, I hear their voices telling me that, over and over. It’s in my head, sure, but it feels like getting beaten down with a fist. That is what I got from the people who were responsible for giving me a proper upbringing. That alone would have been bad enough. On top of it all there’s my adoption issues, and knowing that I once had a Dad in Korea who really loved me, but I was taken away from him. I’m glad that he never saw what I went through: It would have broken his already troubled heart. That may be so, but it also saved me from a loving father. And the everything that I got, well, you’ve already read what that was. How can I not be grateful for that? Why bother thinking about what I don’t have? Indeed. I am struggling with PTSD and severe depression today because I was lucky enough to be chosen, to be given this unique opportunity. To be a special little girl, who could live with this fine, solid, caring, Christian family. I was chosen to be their house slave, their scapegoat and punching ball. My needs, like food, clothes and toys, were taken care of in the sense that they came last, long after they’d had their booze and cigarettes, meaning they were last priority. I never got a cuddly brown teddy bear when I was little: I had to wait until I was old enough and buy my own. I hate how the adoption agencies promote adoption as something beautiful, and how much money they make on tearing innocent children away from their natural families. My childhood sucked: It was a hell that no one can even imagine unless they have walked in my shoes. I will never be grateful, and I can never forget. Others may think that I prefer to live like this, to stay angry, but at least that means I’m still alive: I’m not numb, paralysed into passive submission. Don’t condemn a person for being different, for not fitting inside the box that forms the boundaries of what is “acceptable” in society. There are always reasons for it. Tiny and fragile. Frightened, sick, and in shock. Traumatized. Yet a survivor, called a dandelion child. You always reached for the sky, like an Eagle. The world took your hopes and dreams, and shattered them. But from the ashes rises within you the will to live and survive; your task in life is to tell the world what happened to you. Definition of Inner Child: The child you once were, the child within, which must be embraced and expressed. Which must be set free, by reflecting fully on the experiences of your life. Which must be given a chance to heal, to recover from the painful horrors of your past. Why is it so difficult and painful to find my Inner Child? With every step of this journey I come face to face again with the same feelings that I buried so many years ago. I see her again so lonely and scared, feel her pulse racing, become immersed once more in the sadness and hurting of the memories, the nightmare which is my Pandora’s Box. Every time it is opened I hear echoes of angry voices, and see again in exquisite detail a slow motion replay in my head of those things which I want to forget. I still have many of her dreams, still feel her loneliness, and in those dreams I never seem to find my way home. My nightmares are endless variations on that same everlasting theme. 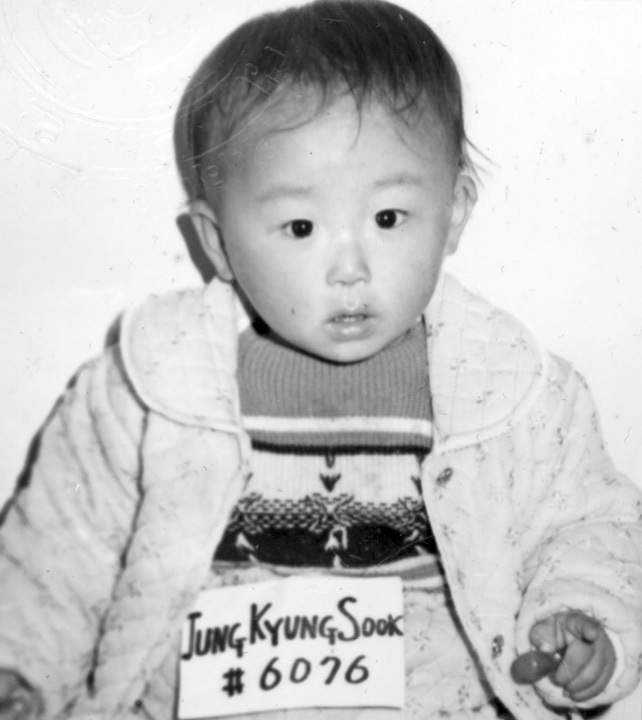 I once dreamt I was screaming, loud and clear, “I want to go home!” I was sitting in the orphanage in Korea, next to a little boy barely older than me, on a bench by a wall, watching the other children play, and I was crying, feeling alone, afraid and abandoned. I was sad for days after this dream, which felt like a strong memory emerging from the depths of my body, a traumatic experience that my conscious self forgot, but my body and my Inner Child still remember. Every day such sore, raw bundles of old hurt knock on the door of my mind, right in the middle of my life, after having been hidden for so many years. Why now? Is it perhaps because now, for the first time, I can finally comfort my Inner Child, and tell her that all this is a chapter long gone? And other things will follow; your future holds a little haven where you can meditate and grow flowers, go fishing, or simply sit and listen to music, or to the waves of the ocean, or the wind, or go for walks in the forest, amidst the trees and the flowers, admiring life around you, perhaps catch glimpses of wild animals; or just admire the evening sky, all the stars and planets, occasionally seeing meteors and Northern lights. Never again will your nightmares come true. Only a shadow will now and then remind you of the past. When you brush it off, it will be gone, like dew disappears from the leaves and grass when the morning sun breaks through the clouds. Dont be afraid. Nothing more can happen to you, because you are all grown up now. Forgive me for leaving you alone. I hid you away for years and tried to forget you, because being reminded of you was too painful to deal with. I let my body and soul go numb, and I tried so hard to bury you deep, deep down in my heart. But that made me sick, and I felt like a living dead, as bad as the pain I was trying to hide. So I promise you, from now on I will be true to my feelings and cry, laugh, be angry, sing and dance when I feel like it in my heart, and I will listen to little Kyung Sook, see things from her lovely, enchanted perspective, her simple yet cute ways. That was me, when I was you. That little girl, innocent and sweet, though nobody knew your heart and saw what a precious diamond you were, my Inner Child who suffered so much, but still you dreamt of the most beautiful things. You are not forgotten and never will be. You were never weak; you simply carried more weight on your shoulders and in your heart than any child should have to. But you remained strong to the core, a strength which you inherited from your mum and dad. Be proud of yourself, as they would be proud of you. From now on we will walk side by side, you and I. Why be so shy, dear, little miss Parsley? Hvorfor så stille, lille Persille? Kanskje du ville på ball i år? I just want to state for the record that I am not trying to compete with anyone about having the worst childhood. My experiences are quite enough for me. If your childhood was worse than mine and you’ve found your peace, please don’t be angry at me for still being hurt, angry and bitter. I haven’t got that far yet, and I’m not ready to forgive and forget. Please read my post Shades of Grey about this. It’s no good dwelling on the past, some say. But much as I would like to forget, if I did then I would not be true to myself. To let go I will have to face my horrors, and it takes time to admit and accept that this was a huge part of my life. A room thick with layers upon layers of smoke. This is one of the first images that strike me when I think back, and probably the reason why I have asthma today. I remember seeing the blurry shadow of my adoptive mother through the cloud of cigarette smog, sitting in a chair by the TV, often with no clothes on, drunk and stuffed full of pills, face expressionless. Occasionally the chair doubled as a toilet if she was too drunk to lift herself out of it and go to the bathroom. She didn’t care, her mind wasn’t in this world. Inside her heart she was grieving over a little boy who died a long, long time before they brought me to Norway. Alcohol, tears, loneliness, a hurtful mix of feelings that sting inside all the memories that my heart has been burdened with for a long time. It’s not easy to shake off the gloom. Just because I smile doesn’t mean that I’m happy. I’ve seen wine, beer and drugs set the tune of a home. How can they love the drinks more than they love their children? It’s still haunting me, like the hands of a ghost around my throat. As a little girl I knew when it was time to be silent and invisible, sometimes hiding in the cupboard in my room, or under the bed. In summertime I would often hide in the garage behind the car. I could sit there and cry silently so no-one could hear me and find me. How could it possibly be fair that a little girl slowly began to think about taking her own life? She didn’t see any solution, she was thinking like a child, how it might gain her and her adoptive parents if she was dead. She didn’t wish to be a burden, and then she would no longer have to be afraid of being beaten. She could sit there and think about how the little white coffin had to have wings on both sides for the long journey up to God in Heaven, followed by a group of angels to lead the way. Would it hurt to die? And how would the Angels find her if she couldn’t pray anymore? First there’d be a glass of wine with dinner. 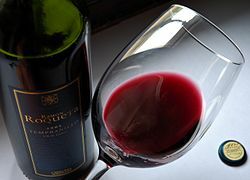 Later the whole box of wine would be brought to the table, or my adoptive dad went with the decanter to get more, and when after a while my adoptive parents started to argue with each other, then I knew that it was time to slip quietly away. I remember my adoptive parents drunk and angry, shouting, my father calling my mother ugly names. A typical week would go like this: Sunday they would sober up for work on Monday. Wednesday they would celebrate the upcoming weekend. Friday they started celebrating that the weekend was here, and it did not end until Sunday morning. This went on for years, until their economy got better so that they could drink every day, all year round. Occasionally they’d go off to Spain for two weeks of heavy celebration, so heavy in fact that sometimes my mother had to return earlier by emergency flight and spend a few days in hospital, getting nursed back to life from the land of the half dead. How could a little girl not be affected for life by this? The yelling, the ugly words, towards me too, the screaming and shouting, the slamming of doors, the tense atmosphere in the house, my adoptive mum crying, and I lay there as a little girl, frightened in my bed and wished I could run away forever. The only thing I could do was to hide under the duvet and pray that one day it would be better. Any child growing up in a home like that would be scarred for life. For my part, this came in addition to adoption-related issues, as if one or the other wasn’t enough. Some days it just hurts too much. I have no energy, only tears, and all I want to do is to sleep forever. Which is worst? My upbringing in that home, or knowing that my father in Korea searched for me for years, not even knowing how far away I really was? 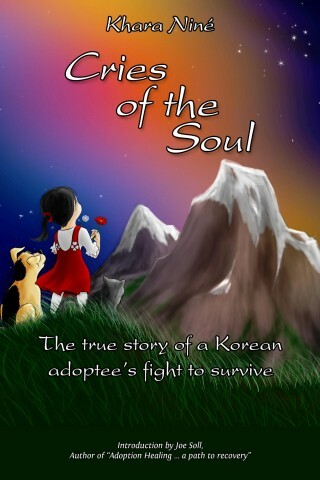 Had I stayed with my family in Korea, I could have spent my childhood being loved for who I was, instead of being told every day by my adoptive parents how stupid and useless I was. I would have felt love instead of hate, happiness instead of sorrow, and escaped many of the problems that I am left with today, as a grown-up adoptee. There are many could-have-beens and might-have-beens, but one thing is for certain: The liquid in my tears come from the greatest trials in my life, from pain and grief, not from an expensive vintage wine bottle on the top shelf at the liquor store, but from the well of my soul. Amygdala: A pair of organs in the brain that, among other things, act as a thermostat. In the head of a person with PTSD, the needle is stuck in the high anxiety position. We relive the trauma over and over again, through nightmares, and through avoiding anything that we know may trigger the memory and the emotions. When we don’t have nightmares, it’s because we have trouble sleeping, because we can’t stop thinking about the trauma. We re-experience the fear and anger we went through during those events in our lives.The amygdala works overtime in people who have PTSD. We lose interest in things that we used to enjoy, and have difficulty trusting others. And this is only the tip of the iceberg. Among the more common things are suicidal thoughts, aggression and irritability, avoiding places and anniversaries related to the incidents. Flashbacks, triggered by smells, sounds or emotions. Dizziness, chest pains, headaches and gastrointestinal distress. Some people carry these things around their entire lives. This is me in a nutshell, basically, and it makes me so tired and emotionally worn out. But at last the various aspects of my health, both emotionally and physically, are coming together like pieces of a puzzle, and I now know what I’m dealing with: PTSD. What’s crucial now is to have goals to work towards, big ones or small. Right now I want to find something I can enjoy, learn and really feel that ‘I can do this’. It takes so little to trigger the feelings. A while ago I saw a little girl who was picking flowers in a field, as we were driving by. It instantly brought me to tears, because it reminded me of my Inner Child who loved to pick flowers. I remember how I proudly offered to my adoptive parents those neatly arranged little bouquets from my tiny hands. But they weren’t good enough. To them they were garbage, and they simply threw them away. I remember feeling happy when I picked those wild flowers in the field, my heart bounding with joy when my friend blew dandelion seeds at me, and how we blew on dandelions together and made wishes when the seeds flew away on the wind. Two girls from two different worlds; she was as light as the day, while I was as dark as the night. But we became soulmates, and still are today. It’s strange how tiny things can stir the feelings so that they become huge waves from the soul in an ocean of sore and raw emotions, that can send you instantly back in time to earlier stages of your life, making you relive all those horrible moments of fear and anxiety as, in my case, a little child. I remember how I used to hide, so I wouldn’t be a burden or remind my adoptive parents more than I had to, that I needed food, clothes, even clean ones now and then, or perhaps a chocolate too, if they weren’t too drunk or too angry at me. I remember loud, angry voices, yelling, the sound of doors slamming, swearing, ugly, evil words at me or at my adoptive mother. How I used to lie in my bed at nights, look at the moon and wish that I could run away and never come back. I remember the feeling of having been beaten, how hurt I was, though mostly on the inside. I was afraid of my adoptive parents, who really ought to have been my protectors. They caused me so many issues that are still with me as an adult. So my brain is always on high alert, afraid that something bad may happen at any time, and I’m constantly exhausted by it. My common sense knows that I should be able to turn the anxiety off, but my emotions, my instincts and my inner child don’t, so my body is working overtime. PTSD is all about what happened to me, not what’s wrong with me. It was a new day. The alarm clock went off, and for a seven year old girl it was time to get up. After she put on her clothes, she went to the bathroom and then the kitchen. She took the bread and cut two big slices, and found the butter and a cup of milk. One slice was for breakfast and the other for her school lunch. Sometimes she’d put jam on the breakfast one. The one for lunch only had butter or mayonnaise, and she would wrap it in lunch paper and toss it in her little school bag. Then she quickly ate the other one and headed for school. She walked the same way every day, alone, looking at the beach nearby and wishing that she could go there instead. She passed the bakery, which always smelled lovely. She would have loved to go inside, like many of the other school kids who came out again with steaming, fresh buns or cookies, but she knew that she couldn’t. All she could do was to keep dreaming of maybe, maybe one day. Minutes later she was right outside the school, just as the bell rang. She ran the last bit and got to class just on time. The hours went by. Finally it was time for lunch, all the kids took out their boxes or wrapped lunch packs and started eating. The others had really nice lunches, neatly cut bread with all kinds of lovely things on; like salad, ham and cheese, chocolate spread or peanut butter. She tried to hide her chunk of bread with only butter on, took one bite at a time and covered the rest of the bread with paper while she chewed, embarrassed that she didn’t have a proper lunch like the others. They all got milk, though, which she thought was the best part of the whole meal. Many had brought apples, bananas or other fruit, but she never had that. Sometimes she wished that she, too, had a proper lunch box, a pretty one with Disney princesses, or Winnie the Pooh, and a bottle for the lemonade. But she didn’t dwell too long on this. Lunch didn’t last forever, and afterwards they’d all run out to play. The rest of the day went by, until it was time to go home. Many of the kids got picked up by their parents, but she never did. She knew that no matter what weather, even thunder and lightning, her little feet would have to carry her back, because her adoptive mother was waiting at home, full of pills and living in a world of her own, expecting her daughter to come quickly and do her chores. There were potatoes and carrots to peel and prepare for cooking. Mother took care of the other ingredients, though the hygiene wasn’t all that good. Sometimes she would drop a piece of meat, vegetable or other on the floor, which was never clean, but she would just brush off the worst of it and toss it into the pan with the rest, dog hairs and other dirt going with it. On Fridays she had to clean the kitchen and hoover the floor around the house, and dust the bookshelves, then tidy her room. When all was done she would take the dog for a walk, her best friend who would follow her anywhere. They’d go to the beach, where she would find a big rock to sit on for a long while, thinking and wishing that she could just be a little kid like all the others, and have the same things they had. Responsible parents who would take proper care of her. A mother who would make her breakfast and school lunches, who would take her to town and buy nice clothes for her, and even a proper lunch box and lemonade bottle. 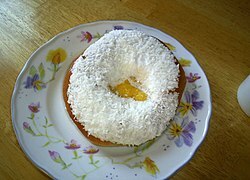 A mother who might from time to time give her money to spend at the bakery with the other kids, so that she, too, could walk out with a cookie in her hands, or sink her teeth into a delicious, steaming fresh bun, filled with custard cream and covered with icing and sprinkled with grated coconut. A mother who would wake her in the mornings and make sure she had clean clothes to wear, who would tuck her into bed at night and read her a story before she fell asleep. A mother who would take care of her, instead of ignoring her. A mother who would let her bring friends home, instead of being afraid that others might see what home looked like. What she had was an adoptive mother who sat in a chair all day, who couldn’t care less if her daughter was OK, as long as she had her smokes, her pills and alcohol. That was the ugly reality. And when her adoptive father came home from work it was time to hurry with dinner and do the homework, then get out of the way, retreat to her room to listen to her parents yelling at each other in the distance, and maybe sneak out for a while, along with her four-legged friend. Please consider rating or adding a review on Amazon or GoodReads. Your first visit to my blog?